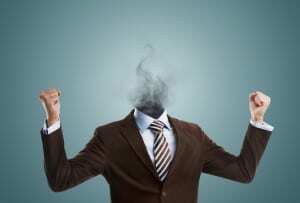 Burnout is defined as “a disabling reaction to stress on the job” by The American Institute of Stress. Symptoms include: fatigue, irritability and anxiety attacks. Burnout doesn’t only have negative effects on employees as individuals, but also results in an estimated loss of $300 billion each year — absences, decreased productivity and employee turnover rates are all contributors. When ignored, burnout can lead to chronic headaches, feelings of emptiness and cynicism. Fortunately, there are a few things you can do to help combat the stresses and triggers, and live an overall healthier lifestyle. One of the easiest things you can do to fight burnout is to rethink your weekly routine. The main priority should be to get regular exercise, as it increases the production of endorphins, helps you disconnect from work and your personal life, and increases self-confidence and mood. Once you incorporate regular exercise (at least 30 minutes a day) into your schedule, you can start focusing on two more important elements: sleeping and eating habits. According to experts, getting less than six hours of sleep each night increases chances of burning out and can also have negative effects on brain function and memory. Also, high-fat foods, carbs and sugars contribute to stress while nutritious food with high vitamin and mineral levels actually have the opposite effects, helping to reduce overall stress levels. With a commitment to change, you’ll see (and feel) a difference in your motivation and ability to handle stress if you exercise regularly, get more than six hours of sleep and choose fresh fruit, vegetables and meats over processed food and candy that come in a box or packaging. Changing habits to get yourself into a healthy routine can work wonders against stress, but another way to reduce burnout is to embrace spontaneity; do something different. Chances are you follow a fairly similar schedule each day/week and this tedium can often lead you to feel like Sisyphus, rolling that rock up a hill day in and day out. You can shift your brain activity by doing something out of the ordinary at least a couple times a week. Do you usually eat lunch at your desk so you can keep working? Instead, take a 15 minute walk outside. Do you usually play videos games or watch TV to unwind at the end of the day? Switch it up and play a board game or work on a crossword puzzle to engage your mind in a different way. The best way to disconnect from your life and be spontaneous is to pack up your things and go on a vacation. Not every vacation has to be to a far-off tropical island or foreign country, and an often-overlooked type of getaway is an in-state road trip. Not only is it budget friendly, it also gives you a chance to better understand all that your state has to offer. There’s a lot more going on in the city of Philadelphia than most Pennsylvania residents even know; visitphilly.com is a great resource to find an activity. You can go see the largest display of LEGO art in the world, or catch a live show at the Forrest Theatre. Whatever you do, the important thing is you’re taking your mind off work, relieving stress and easing tension.